Champ Software has always maintained that we’d pursue Meaningful Use certification to the degree it was a help and not a hindrance or budgetary burden to our public health customers. 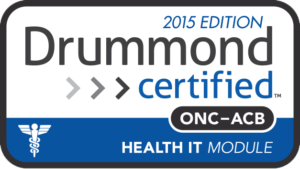 We are excited to announce we are 2015 MU-certified for seven criteria essential to public health. 2015 certification is desirable over 2014 certification because of increased restrictions and qualifications that hold vendors to higher standards. We continue to put our customers first! This Nightingale Notes, Version 33.0 is 2015 edition compliant and has been certified by an ONC-ACB in accordance with the applicable certification criteria adopted by the Secretary of the U.S. Department of Health and Human Services. This certification does not represent an endorsement by the U.S. Department of Health and Human Services. Champ Software utilizes Amazon Web Services US east region, and replicates/handles fail-over to the US west region. Both of those AWS service regions are FedRAMOP authorized. For more information on the FedRAMP authorizations, visit AWS. Champ Software utilizes Amazon Web Services. Champ Software’s HIPAA compliance along with AWS practices and procedures align with HITRUST. From the AWS website, “This means that AWS manages security of the Cloud and its underlying infrastructure, while security in the Cloud is the responsibility of the customer. Customers have a broad range of controls they can implement to protect their own content, platform, applications, systems and networks, no differently than they would for applications in an on-site datacenter. In the context of compliance, this means AWS offers customers compliance-ready infrastructure and provides tools and services customers can use to be compliant on the AWS Cloud.” You can read more about HITRUST on the AWS web site.